OK, I’ve been a bad boy. No details, but the results are evident on this page . . . there’s no post this week. For those who came looking for a good bar story, my apologies and a suggestion — the post titled “Danny” is still my favorite here (and Colleen’s favorite as well.) If you haven’t already read it, this is your chance. It’s the closest thing I’ve written to a complete short story, that is if it was fiction. But it’s not. It’s a true story and one of those searing moments behind the taps that every bartender experiences at some point, in one form or another, and that leaves us forever changed. 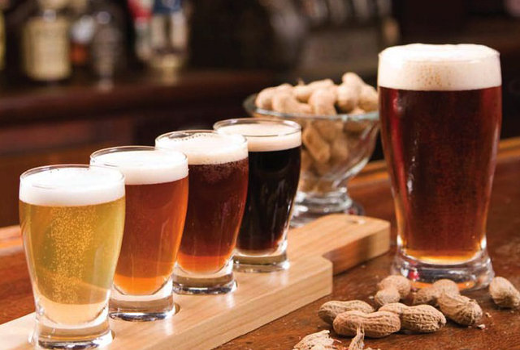 Whether or not you choose either of these options, I’d also recommend (perhaps simultaneously) that you check out some of the offerings of the really, really good craft breweries that have sprung up just down the street and around the corner from Johnny D’s. During the holidays or just about any day I’d recommend having something from one of these fine “mom and pop” brewers in your frig at all times. My personal favorites include their “Porter Square Porter” and the incredibly tasty “Flagraiser IPA”. If you’re already a Slumbrew regular, you’ll be happy to know they now have a great merchandise selection — shirts, glassware, artwork — all with that soon-to-be famous slumbrew logo. Lots of flavor, big mouthfuls of taste . 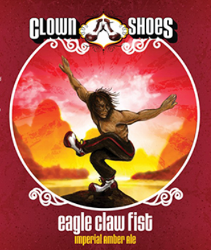 . . try the “Eagle Claw Fist” imperial amber, or their rich, delicious “Brown Angel”. These guys just don’t make a bad beer . . . it’s all good. Their beers are a bit more expensive, but they’re developing quite a following. Back next week with more bar stories . . .
Caveman: Thanks back to you, Caveman, for your great blog. I love your “quote” sidebar. Damn, wish I’d thought of that first. Llylak: Always good to see you here, Lly, and thank you for reading “Danny.” Spent some time on that one.